One of my Summer sewing goals is to complete as many of my unfinished projects as I can. 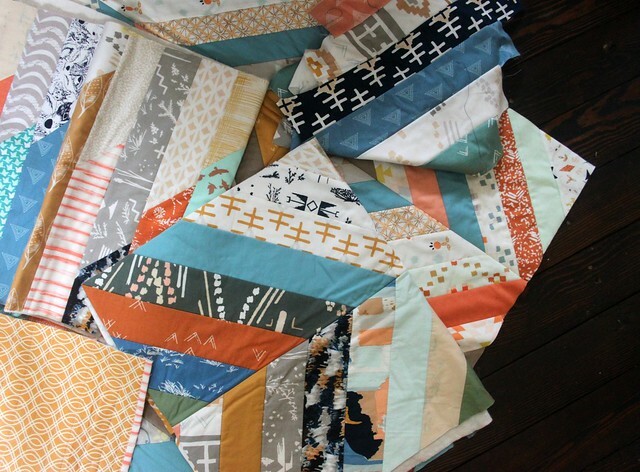 I currently have more than I ever have and require two baskets now to hold the neatly folded quilt blocks, pillow pieces waiting to be backed and bound, and even a few quilt tops that are close to being done. 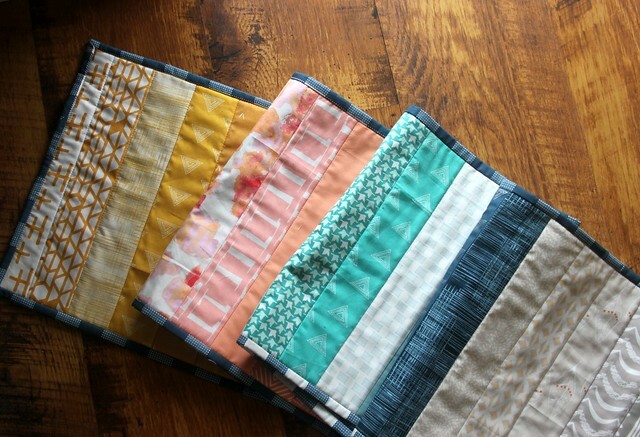 Back when I was preparing for my Crafty class, Quick Quilt As You Go where I share my technique by teaching five fun projects including patterns for placemats, a table runner, pillow, and two quilts, I had to make lots of "step-outs" for each of these projects! Step-outs are simply pieces of a project at different stages of construction. When writing a pattern or tutorial to share on a blog, I just make sure to take photos along the way to give a view of each stage & step. When filming my class with Craftsy, I had to make a separate piece for each of these different stages to show on camera. I learned right away that I needed more of these than you might think, and as a result my unfinished projects are overflowing! 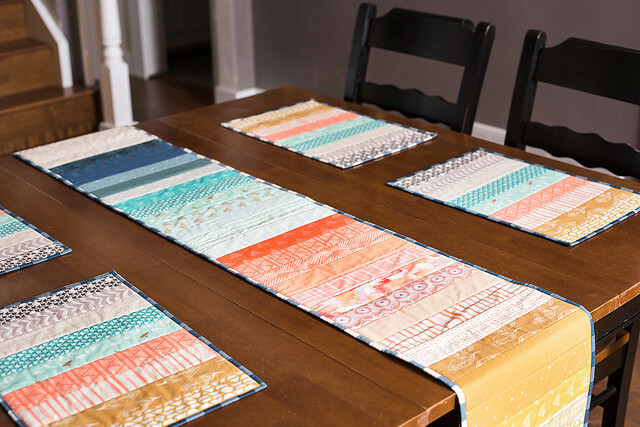 One of my favorite Quick Quilt As You class projects is my Ombré Table Runner, a stacked strip table runner in a favorite color scheme of mine with a pretty effect where the colors shade into one another, graduating from dark to light. I had to make one completely finished runner, plus step-outs that included one almost finished without trimming and binding, one halfway complete, and of course, all the pieces cut and ready to show my how-to on camera. It was a lot of fun, but a lot of work, and since I hate to waste anything, these busy Summer days that don't leave much time for finishing big sewing projects are giving me just enough time to enjoy some smaller project finishes! Most of the completely finished class projects I already gave as gifts to family over the holidays, so as I finish up these new ones, I'll be adding them to my Etsy Shop! It feels good to see my UFO basket contents dwindle a little, like I'm actually accomplishing something! How about you, what are you working on these days? Love this so much! Just gorgeous! I just finished placements like these using batik fabrics, they also came out sooo nice! I made a lazy (no cutting and no measuring), random runner using your technique and even it turned out great! So fresh, so ombre indeed. THanks Maureen for sharing it. I have a few of those "April RHodes" faves in my stash and of course your first collection too. 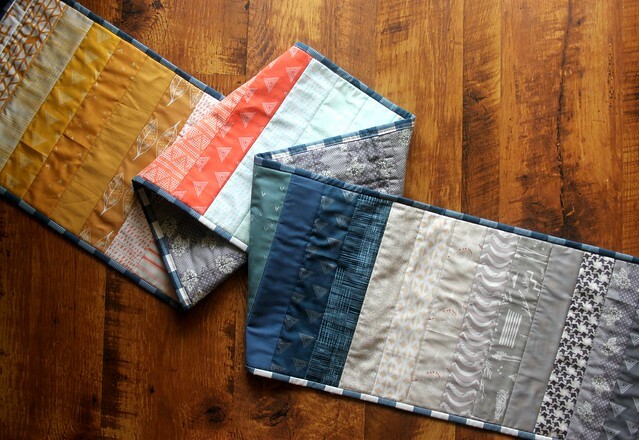 I need a lengthy table runner as a gift to someone special. 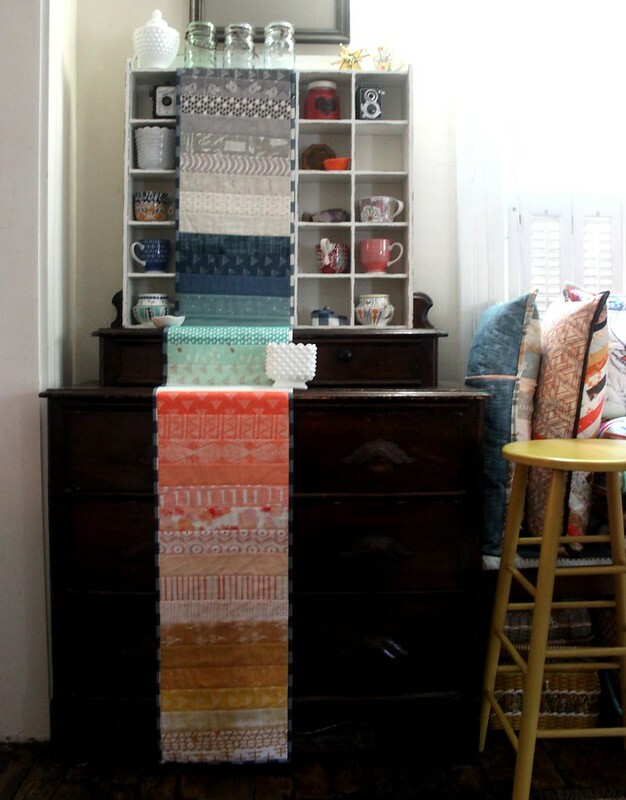 Ombre is just the pattern! Perfect timing. Thank you. I feel so happy when I finish a unfinished project. I am never caught up now I have a basket of scraps to cut.